Oh Yeah!!! Now we goin' way back! 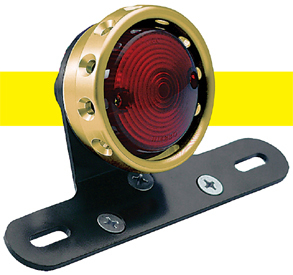 Get 'Em Side Mount ($91.00) or Bottom Mount ($83.00). - Get the classic limp sausage light! 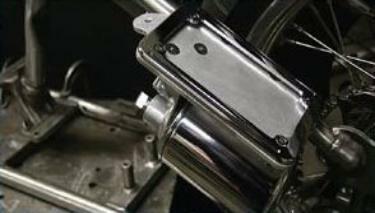 - Comes in chrome or powdercoat black. Finally! That flat as a pancake black you've been lookin' for!! 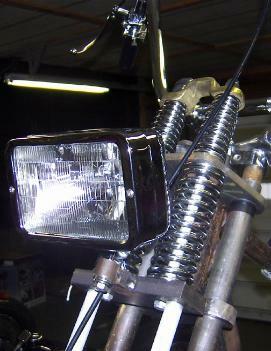 - Add a mounting bracket to this light for $23. 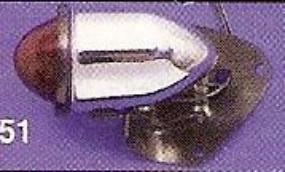 - Includes lower mount and bulb. - Lenses are in glass. brass, aluminum or black finishes. 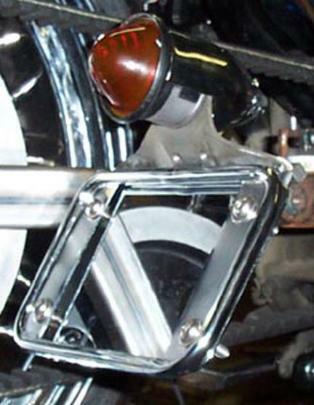 - Includes license plate bracket. 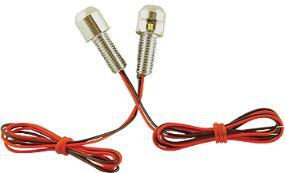 - Uses standard 12v bulb. 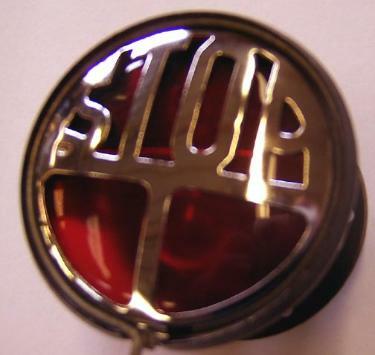 - Only 5/8" in diameter and 3/4" long. 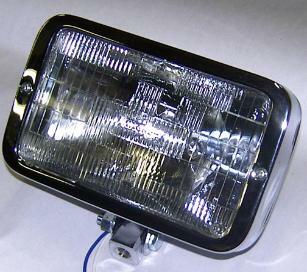 - Makes a great license plate light or a speedo/tach light. 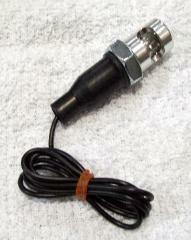 with bulb, wire, 1/2" nut and rubber boot. 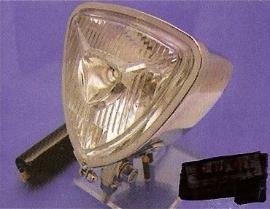 - Light Emitting Diode (LED) illumination. 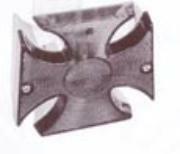 - Bolts are 3/16" x 13/16" long and include 7 1/2" of lead wire.